A: It is best to let tropical fruit trees rest for the winter. In the Treasure Coast area usually the last fertilization is the end of September, maybe into October. Fertilizer could encourage new growth that doesn’t have time to harden off before cold weather. Also look through the “Building Soil” page under the Resources Menu and watch the video. You can use palm fertilizer, like an 8-2-12. Or 8-3-9 with micronutrients is often recommended. Locally, Diamond-R has these, or other fruit tree blends. There are also organic fertilizers, compost, worm castings, worm or compost tea, and lots of mulch if you prefer a more natural approach. Start fertilizing in spring, late February or March depending on the forecast, then about every 3 months @package directions, or every month with a smaller amount. Same with foliar micronutrient3 spray (before 9am or after 5pm to avoid leaf burn) every 3 months, or even better, 1/3 strength monthly. Nitrogen (N) makes the fruit green, potassium (K) gives it good color. Mangos don’t need extra nitrogen or phosphorous, so don’t use a lot of mulch or regular fertilizer. Just use 0-0-50 (or 0-0-20) for mangos. For best color, add potassium (K) once when the blooms first come out and again when the fruit is <1⁄2”. Fertilize with 2/3 cup at the dripline2 (1/3C for small trees). Fertilize again on picking / pruning day (typically in June/July). Use foliar micronutrient3 spray about a week before fruit is ready. Last fertilization should be the end of September. Mango trees need little or no extra water once established and fruit better when dry, dry being one of the triggers that induces flowering. The other trigger is cold weather. Brian Wright, current president of the Brevard Tropical Fruit Club spent a lot of time with Noris when she spoke at their club, and recently shared more details on their facebook page. A copy of those instructions are here. You probably need to call around to find 0-0-50. I got a 50# bag at John Deere in Melbourne (VeroB store didn’t carry it). It was labeled organic–a mined and powdered rock dust. Someone said Diamond-R in Ft. Pierce carries it. A friend special ordered it from Nurseryman’s in Vero (43rd & Hwy 1 behind Central Window). The Melbourne fruit club’s annual plant sale carries it. Get powdered (dissolvable) rather than granular if possible. It is also a good supplement for Lychee in winter to stimulate flowering and fruit set: one cup dissolved in a 5 gallon bucket of warm water to drench one tree, in early winter. 2 The dripline is an imaginary circle on the ground directly under the outer edge of the tree. Picture an umbrella: where the rain drips around the edge. 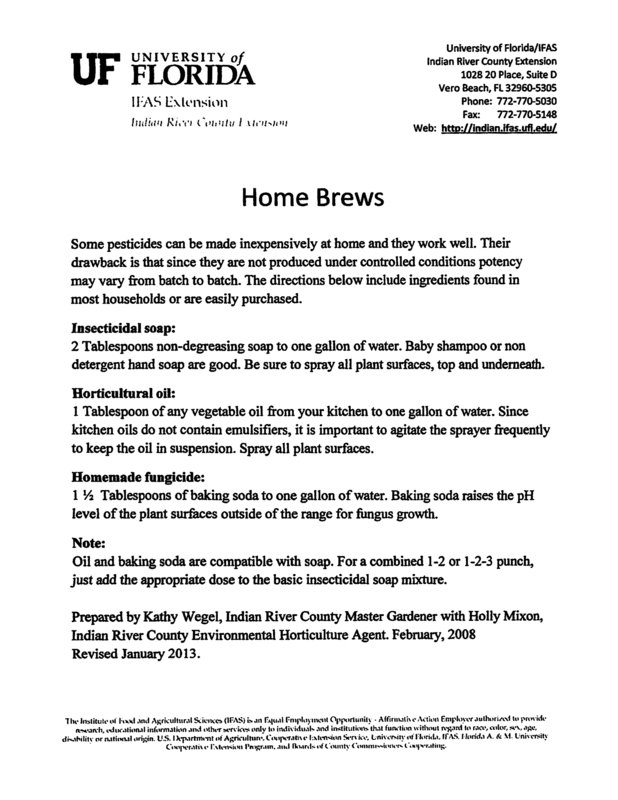 3 Micronutrients are available in garden or home centers as a liquid concentrate. They usually contain iron, magnesium, manganese, zinc, boron and sulfur. (Southern AG “Citrus Nutritional Spray” is commonly available locally. Alternatively look for K-plex 350, TurfProUSA, or Ocean Solutions) Even better, create your own mix. Use a backpack sprayer or a good hose-end sprayer if you have more than a couple of small trees. For 4 gallons: your favorite nutritional Spray (2-3 oz in 4 gallons), add an equal amount of seaweed extract (liquid or powdered kelp), an oz of liquid Humic Acid (which you can buy, or make by pouring de-chlorinated water through a strainer full of good compost), and a tablespoon of chealated iron (Sequestrene 138). Some trees really take off when they are foliar fed. Ice Cream Bean, Jujube, Grumichama were like different trees soon after spraying them.